Check out Tobi's Dolly Pointed Toe Heels Hello heels. Steve Madden's Dolly Pointed Toe Black Heels are calling your name. These cut out stiletto heels feature a pointed toe silhouette, a leather upper, and a padded, comfortable fit. These statement heels will look stunning with a bustier dress for a night in the city. Hello heels. Steve Madden's Dolly Pointed Toe Black Heels are calling your name. 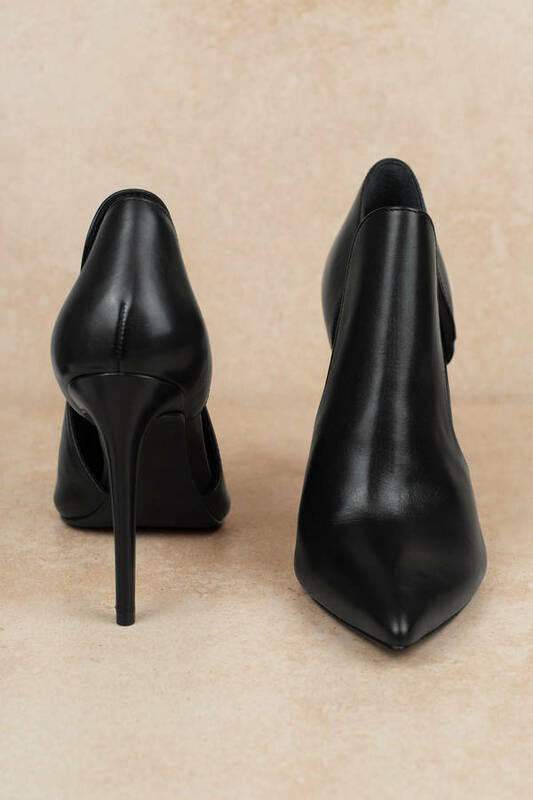 These cut out stiletto heels feature a pointed toe silhouette, a leather upper, and a padded, comfortable fit. These statement heels will look stunning with a bustier dress for a night in the city.